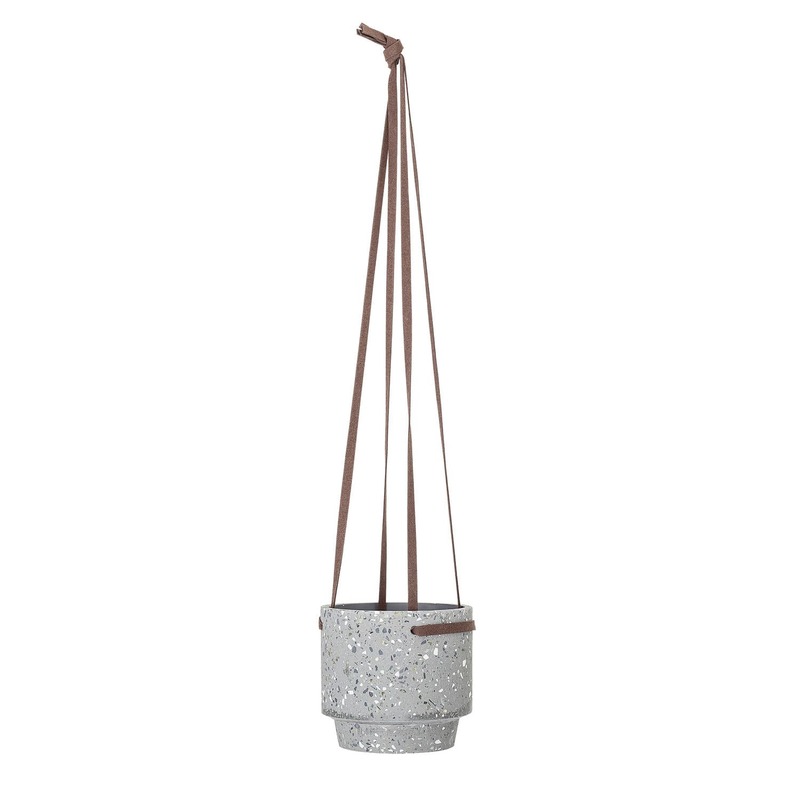 Stylish light grey terrazzo hanging planter with bordeaux leather adjustable strings. Style with trailing house plants. Designed in Denmark by Bloomingville.